This is a 1943 Bobcat illustration by Walter A. Weber! The size of the illustration is approximately 6.5x10inches. 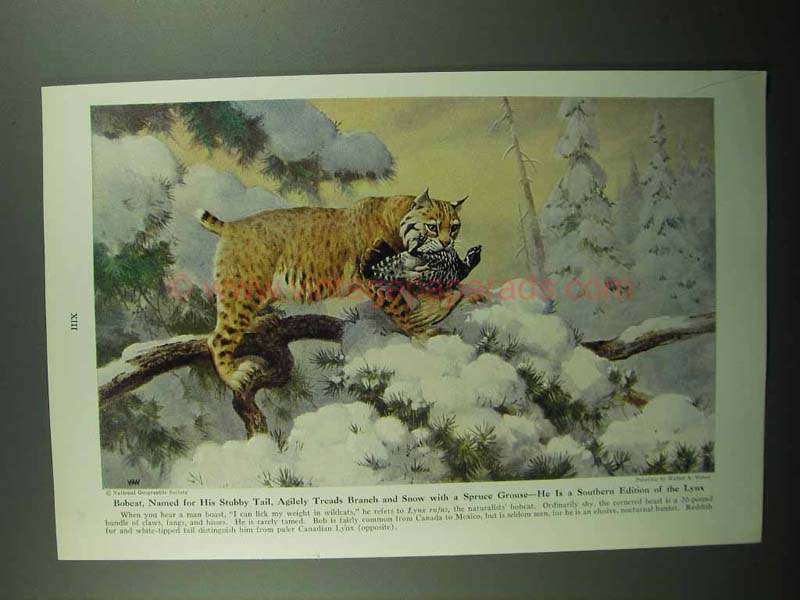 The caption for this illustration is 'Bobcat, named for his stubby tail, agilely treads branch and snow with a spruce grouse - he is a southern edition of the lynx' The illustration is in great condition. This vintage illustration would look great framed and displayed! Add it to your collection today!